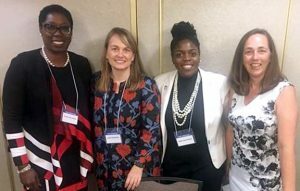 The Appellate Practice Section sponsored The Path to Inclusion Symposium November 9-10 in Orlando. Hosted by the standing committee on Diversity and Inclusion, the Symposium was intended to foster improved relations and enhance diversity throughout the legal field. 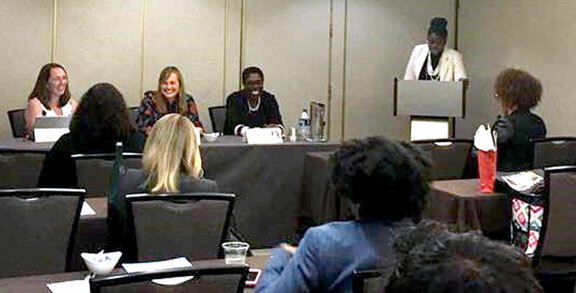 The APS shares that common purpose and strives to achieve those same goals within our Section, and APS Chair Kristin Norse and member Jamie Bilotte Moses were featured speakers at the Symposium. Additionally, members of the Appellate Practice Section’s Outreach Committee hosted a table at the event to increase awareness of the Section and of appellate practice as a specialty area of law. 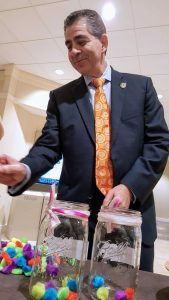 Outreach members greeted attendees with smiles and some upbeat jazz, giving away candy and hosting a lighthearted “PuffBall Poll” at the Committee’s first “tabled” event of the year. 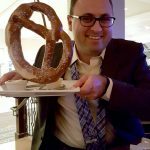 Bar President Michael Higer participated in the poll, and while his ballots are confidential, when all votes were counted, Apple, two spaces, and the Oxford comma won. Apparently our Florida appellate attorneys prioritize inclusion, diversity, and good grammar in their practices. 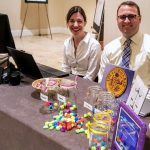 Outreach Chair Jared Krukar and member Katherine Yanes also contributed and were on hand to greet the more than 100 guests who attended the Symposium. Look for the Section’s Outreach table at the Bar’s Winter Meeting January 17-20, 2018, in Orlando! Who knows what important issues they’ll be tackling this time.